The beautiful Necklace & Bracelets are Free by Mariposa. Check their Closing Sale, beautiful Jewelry and Accessoires for a low Price and a Bunch of free Goodies as well. Today i got stuck with the Gothic Style. Womens Dreamy Bodyshop has released a beautiful new Skin Series, Vanessa Pale, which is perfect for any Gothic Look (or Vampires or in case you just like it pale) Makeups are realistic and detailled as always. 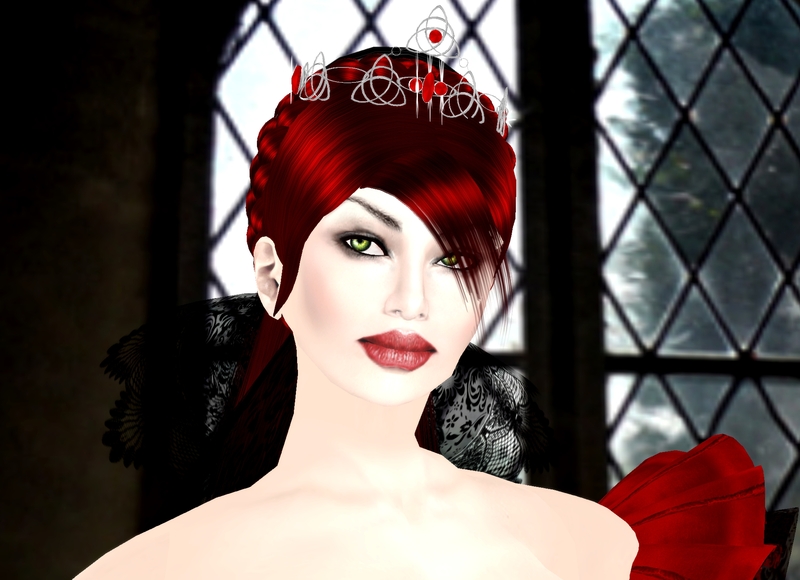 I love Pale Skin combined with red Hair and this stunning long shiny red Hair is from eXxEsS, they have fantastic Hair. The georgeous Gothic Gown is a free Design from Lapointe & Bastchild, check their Freebie Clothes they have awesome Stuff out, espacially if you like this Gothic, Vampire Clothes.